Hi everyone, here's another tutorial for Dialux and Dialux Evo designed for people that are beginners in AutoCad. 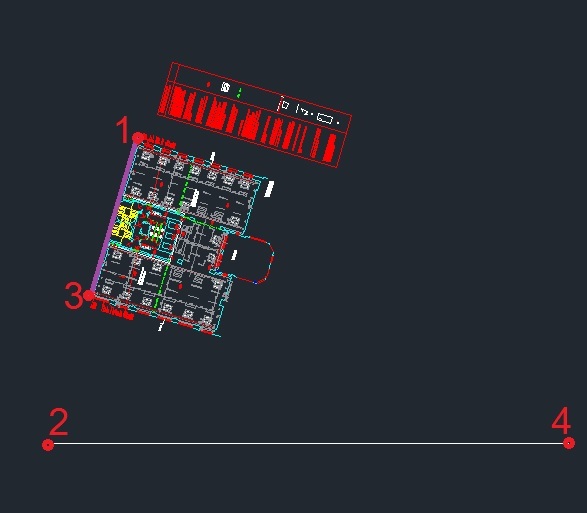 Even though it's very difficult to explain this one as drawings that we are receiving are different every time, it is very easy to prepare drawing for Dialux in AutoCad. I've tried to choose the worst-case scenario for this tutorial but your drawing might be different so you'll maybe need only some parts of this tutorial (or maybe something that's not covered here). There are many different ways to do this but I'll show you approach I usually use. In this case, drawing is probably an export from some different program so the UCS (or user coordinate system) is rotated. Command line is great, it's telling you what to do next. Click anywhere bellow drawing, click once again to make horizontal line, press enter. During this, make sure ORTHO mode is on. It is turned on or off by pressing F8. Type ALIGN and press ENTER. Press ENTER. Now it will ask for source point. Click on these 4 points in order as designated in the picture bellow. This command will change position of layout in such manner that point 1 will be in position 2, point 3 in position 4. Press ENTER twice. Have a few tries if you haven't use this command before. Your drawing should be orthogonal now. In Dialux 4 you will not see any message but you'll notice that some parts of the drawing are missing. This is due to linked drawings that are part of the main drawing. To solve this problem, type XREF in AutoCad command line, press ENTER. If your status is "not found" select problematic xref (see picture above where the red line is), scroll down and click on the "saved path". Browse your computer and find the file. In this case, we had one file and the file is reflected ceiling plan which is very important for luminaire positions. You might have several xrefs, in which case - just repeat the same steps as described above. Right click on drawing you want to bind, chose bind option, click OK. This step isn't necessary but if your file is too heavy it could help a little. All you have to do is type PURGE in command line, type ENTER and then "purge all" as many times as you can. 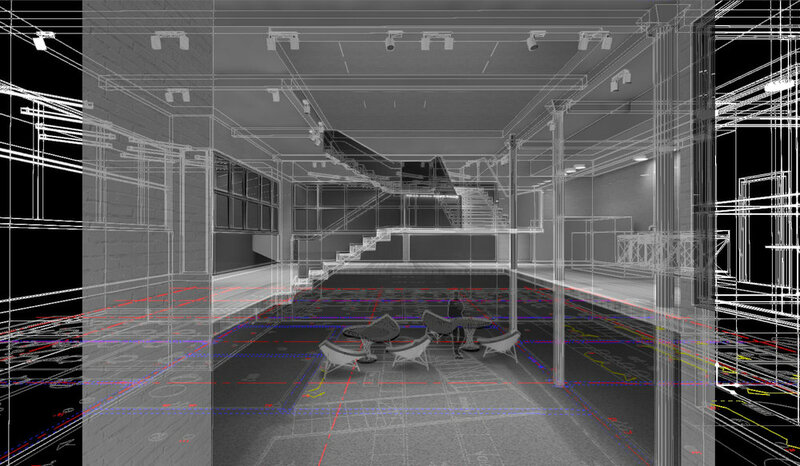 To resolve this, save drawing as AutoCad 2010 version. I hope I covered most common problems that are coming with random drawings. These ones are easily solved but for example, I know that sometimes Dialux 4 doesn't handle blocks very well; I didn't find elegant and quick solution for that other than exploding them or even deleting them completely and drawing them from start. I would dedicate whole post just for this, let me know if you want me to write it. Another one is when the drawing is too busy and there is too much information, I sometimes turn off layers in Dialux itself and change colours of the layers so that they are more visible.